What a wonderful week of learning! 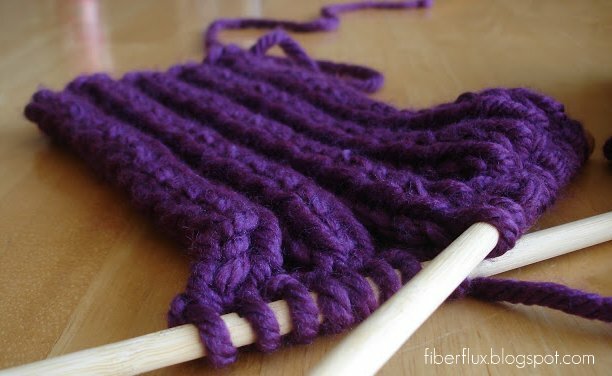 I've collected all of the other things we've learned this week here on this page and I'm going to stick them on the "Knitting Tutorials" page for easy reference too. I do a lot of crocheting and have tried my hand a knitting with little success. Still, I think its time to give it another shot and these tutorials have motivated me to do just that. What size needles do you suggest for beginners/practice? Awesome! Knitting is so much fun...I really love my US 8 needles, I use them a lot. Yippeeeee! I'm so happy I found you and your lovely blog! I started the adventure of knitting years ago and have given it up due to lack of time and professional help/tips/how-to's from people such as you. Being a stay at home Mom for the first time to my now 16 month old has kept me interested in crafty things again. Looking forward to relearning how to knit again. I also do a lot of crocheting, so hopefully I can do both. Can't wait to start making Christmas presents! Good for you! Congratulations on being home with your little one and hooray for handmade presents! Hi, just found your site and am so excited to see your tutorials. Looks like you like bamboo needles...are they what you recommend for a newbie?? Thanks for posting this info!